The first Christians, as described in the first chapters of the Acts of the Apostles, were all Jewish, either by birth, or conversion for which the biblical term proselyte is used, and referred to by historians as the Jewish Christians. The early Gospel message was spread orally; probably in Aramaic. The New Testament's Book of Acts and Epistle to the Galatians record that the first Christian community was centered in Jerusalem and its leaders included Peter, James, and John. Paul of Tarsus, after his conversion to Christianity, claimed the title of "Apostle to the Gentiles". Paul's influence on Christian thinking is said to be more significant than any other New Testament writer. By the end of the 1st century, Christianity began to be recognized internally and externally as a separate religion from Second Temple Judaism which itself was refined and developed further in the centuries after the destruction of the Second Jerusalem Temple. As shown by the numerous quotations in the New Testament books and other Christian writings of the 1st centuries, early Christians generally used and revered the Jewish Bible as Scripture, mostly in the Greek (Septuagint) or Aramaic (Targum) translations, much of which is written in narrative form where "in the biblical story God is the protagonist, Satan (or evil people/powers) are the antagonists, and God's people are the agonists". As the New Testament canon developed, the Letters of Paul, the canonical gospels and various other works were also recognized as scripture to be read in church. Paul's letters, especially Romans, established a theology based on Christ rather than on the Mosaic Law, but most Christian denominations today still consider the "moral prescriptions" of the Mosaic Law, such as the Ten Commandments, Great Commandment, and Golden Rule, to be relevant. Early Christians demonstrated a wide range of beliefs and practices, many of which were later rejected as heretical. The earliest followers of Jesus composed an apocalyptic, Second Temple Jewish sect, which historians refer to as Jewish Christianity. The first part of the period, during the lifetimes of the Twelve Apostles, is called the Apostolic Age. In line with the Great Commission attributed to the resurrected Jesus, the Apostles are said to have dispersed from Jerusalem, and the missionary activity spread Christianity to cities throughout the Hellenistic world and even beyond the Roman Empire. Though Paul's influence on Christian thinking is said to be more significant than any other New Testament author, the relationship of Paul of Tarsus and Judaism is still disputed. Early Christians suffered sporadic persecution as the result of local pagan populations putting pressure on the imperial authorities to take action against the Christians in their midst, who were thought to bring misfortune by their refusal to honour the gods. Persecution was on the rise in Asia Minor towards the end of the 1st century, and in 111 AD the emperor Trajan issued regulations about the conduct of trials of Christians under the Roman governor of the area. The first action taken against Christians by the order of an emperor occurred half a century earlier under Nero after the Great Fire of Rome in 64 AD. During the Ante-Nicene period following the Apostolic Age, a great diversity of views emerged simultaneously with strong unifying characteristics lacking in the apostolic period. Part of the unifying trend was an increasingly harsh rejection of Judaism and Jewish practices. Early Christianity gradually grew apart from Judaism during the first two centuries and established itself as a predominantly gentile religion in the Roman Empire. According to Will Durant, the Christian Church prevailed over paganism because it offered a much more attractive doctrine and because the church leaders addressed human needs better than their rivals. From the writings of early Christians, historians have tried to piece together an understanding of various early Christian practices including worship services, customs and observances. Early Christian writers such as Justin Martyr (100 – 165) described these practices. Early Christian beliefs regarding baptism probably predate the New Testament writings. It seems certain that numerous Jewish sects and certainly Jesus and his disciples practised baptism, which became integral to nearly every manifestation of the religion of the Jews. John the Baptist had baptized many people before baptisms took place in the name of Jesus Christ. Many of the interpretations that would later become orthodox Christian beliefs concerning baptism can be traced to apostles such as Paul, who likened baptism to being buried with Christ in his death (Romans 6:3,4; Colossians 2:12). On the basis of this description, it was supposed by some modern theologians that the early Christians practised baptism by submersion (Matthew 3:13-17). This interpretation is debated between those Christian denominations who advocate immersion baptism exclusively and those who practice baptism by affusion or aspersion as well as by immersion. Yet the Didache, one of the earliest Christian writings on liturgical practices, mentions that baptism may occur by pouring water on the head three times using the trinitarian formula (i.e., in the name of the Father, the Son, and the Holy Spirit). Infant baptism was widely practised at least by the 3rd century, but it is disputed whether it was in the first centuries of Christianity. Some believe that the Church in the apostolic period practised infant baptism, arguing that the mention of the baptism of households in the Acts of the Apostles would have included children within the household. Others believe that infants were excluded from the baptism of households, citing verses of the Bible that describe the baptized households as believing, which infants are incapable of doing. In the 2nd century, Irenaeus, bishop of Lyons, may have referred to it. Additionally, Justin Martyr wrote about baptism in First Apology (written in the mid-2nd century), describing it as a choice and contrasting it with the lack of choice one has in one's physical birth. However, Justin Martyr also seems to imply elsewhere that believers were "disciples from childhood", indicating, perhaps, their baptism. The Bishop Polycarp, himself a disciple of the Apostle John, stated at his martyrdom (AD 168) that he had been in the "service of Christ" for eighty-six years. Other recorded dates from Polycarp's life make it likely that eighty-six years was his age from birth as well. Joachim Jeremias concludes the following from these facts: "This shows at any rate that his parents were already Christians, or at least were converted quite soon after his birth. If his parents were pagans at his birth, he would have been baptized with the 'house' at their conversion. But even if his parents were Christians, the words 'service of Christ for eighty-six years' support a baptism soon after his birth rather than one as a child of 'mature years'... for which there is no evidence at all." The so-called Apostolic Tradition says to "Baptize first the children, and if they can speak for themselves let them do so. Otherwise, let their parents or other relatives speak for them." If it was written by Hippolytus of Rome, Apostolic Tradition could be dated about 215 AD, but recent scholars believe it to be material from separate sources ranging from the middle second to the fourth century, being gathered and compiled on about 375-400 AD. The 3rd century evidence is clearer, with both Origen (calling infant baptism "according to the usage of the Church") and Cyprian advocating the practice. Tertullian acknowledges the practice (and that sponsors would speak on behalf of the children), but, holding an unusual view of marriage, argues against it, on the grounds that baptism should be postponed until after marriage. Interpretation of the baptismal practices of the early church is important to groups such as Baptists, Anabaptists, and the churches of Christ who believe that infant baptism was a development that occurred during the late 2nd to early 3rd centuries. The early Christian writings mentioned above, which date from the 2nd and 3rd century indicate that Christians as early as the 2nd century did maintain such a practice. Christian groups and congregations first organized themselves loosely. In Paul's time, although certain decisions by Elders and Apostles were binding, as in the Council of Jerusalem, there were no precisely delineated functions yet for bishops, elders, and deacons. A Church hierarchy, however, seems to have developed by the late 1st century and early 2nd century (see Pastoral Epistles, c 90 - 140). These structures were certainly formalized well before the end of the Early Christian period, which concluded with the legalization of Christianity by Constantine's Edict of Milan in 313 and the holding of the First Council of Nicea in 325, when the title of Metropolitan bishop first appears. In the post-Apostolic church, bishops emerged as overseers of urban Christian populations, and a hierarchy of clergy gradually took on the form of episkopoi (overseers), presbyteroi (elders), and diakonoi (ministerial servants). This hierarchy emerged slowly and at different times for different locations. Clement, a 1st-century bishop of Rome, refers to the leaders of the Corinthian church in his epistle to Corinthians as bishops and presbyters interchangeably. The New Testament writers also use the terms "overseer" and "elder" interchangeably and as synonyms. The Didache (dated by most scholars to the early 2nd century), speaks of "appointing for yourself bishops and deacons". Disputes regarding the proper titles and roles of church leaders would later become one of the major causes of schism within the Christian church. Such disputes include the roles of bishops and presbyters. Churches such as the Catholic and Orthodox use the word "priest" of all the baptized, but apply it in a more specific sense ("ministerial priesthood") to bishops and presbyters and sometimes, somewhat loosely, treat "presbyter" and "priest" as synonyms, applying both terms to clergy subordinate to bishops. In congregational churches, the title "priest" is rejected, keeping only "presbyter" or "elder". Some congregational churches do not include a role of bishop in their organizational polity. Post-apostolic bishops of importance include Polycarp of Smyrna, Ignatius of Antioch and Clement of Rome . These men reportedly knew and studied under the apostles personally and are therefore called Apostolic Fathers. Each Christian community also had presbyters, as was the case with Jewish communities, who were also ordained and assisted the bishop; as Christianity spread, especially in rural areas, the presbyters exercised more responsibilities and took distinctive shape as priests. Lastly, deacons also performed certain duties, such as tending to the poor and sick. In the 2nd century, an episcopal structure becomes more visible, and in that century this structure was supported by teaching on apostolic succession, where a bishop becomes the spiritual successor of the previous bishop in a line tracing back to the apostles themselves. According to Bauckham, the post-apostolic church contained diverse practices as regards the Sabbath. The attitude of the Church Fathers towards women paralleled rules in Jewish law regarding a woman's role in worship, although the early church allowed women to participate in worship - something that was not allowed in the Synagogue (where women were restricted to the outer court). The First Epistle to Timothy teaches that women should remain quiet during public worship and were not to instruct men or assume authority over them. and the Deutero-Pauline Epistle to the Ephesians calls upon women to submit to the authority of their husbands. The New Testament provides several examples of female leaders, including Phoebe (a deaconess, a Christian designated to serve with under the bishops and presbyters of the church in a variety of ways, in Corinth), Priscilla (an early missionary and wife of Aquila) and Lydia (who hosted a house church in the Asian city of Thyatira). Though never ordained, these women were very influential, and they are still venerated today. Early Christian congregations apparently provided members with a strong sense of community, with mutual religious and material support. Early Christian beliefs were based on the apostolic preaching (kerygma), considered to be preserved in tradition and in New Testament scripture, for parts of which scholars have posited dates as late as the third century, although it was then attributed to the Apostles themselves and their contemporaries, such as Mark and Luke. 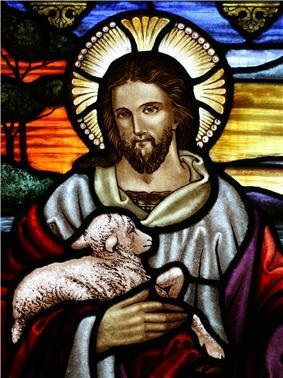 Most Christians identified Jesus as divine from a very early period, although holding a variety of competing views as to what exactly this implied. Early Christian views tended to see Jesus as a unique agent of God; by the Council of Nicaea in 325 he was identified as God in the fullest sense, being 'of the same substance, essence or being'. Some of the 1st and 2nd-century texts that would later be canonized as the New Testament several times imply or indirectly refer to the divine character to Jesus, though there is scholarly debate as to whether or not they call him God Within 15–20 years of the death of Jesus, Paul, who authored the largest early expositions of Christian theology, refers to Jesus as the resurrected "Son of God", the savior who would return from heaven and save his faithful, dead and living, from the imminent destruction of the world. The Synoptic Gospels describe him as the "Son of God", though the phrase "Son of Man" (always placed in the mouth of Jesus himself) is more frequently used in the Gospel of Mark; born of the Virgin Mary by the agency of the Holy Spirit, and who will return to judge the nations. The Gospel of John identifies Jesus as the human incarnation of the divine Word or "Logos" (see Jesus the Logos) and True Vine. It is believed that the Book of Revelation depicts Jesus as "the Alpha and the Omega, the first and the last, the beginning and the end" (22:13), and applies similar terms to "the Lord God": "'I am the Alpha and the Omega,' says the Lord God, 'who is and who was and who is to come, the Almighty'" (1:8). The term "Logos" was used in Greek philosophy (see Heraclitus) and in Hellenistic Jewish religious writing (see Philo Judaeus of Alexandria) to mean the ultimate ordering principle of the universe. Those who rejected the identification of Jesus with the Logos, rejecting also the Gospel of John, were called Alogi (see also Monarchianism). Adoptionists, such as the Ebionites, considered him as at first an ordinary man, born to Joseph and Mary, who later became the Son of God at his baptism, his transfiguration, or his resurrection. ^ Catholic Encyclopedia: Proselyte: "The English term "proselyte" occurs only in the New Testament where it signifies a convert to the Jewish religion (Matthew 23:15; Acts 2:11; 6:5; etc. ), though the same Greek word is commonly used in the Septuagint to designate a foreigner living in Palestine. Thus the term seems to have passed from an original local and chiefly political sense, in which it was used as early as 300 B.C., to a technical and religious meaning in the Judaism of the New Testament epoch." ^ Ehrman, Bart D. (2012). Did Jesus Exist? : The Historical Argument for Jesus of Nazareth. HarperCollins, pp 87- 90. ^ a b de Ste. Croix, Geoffrey Ernest Maurice. "Why Were Early Christians Persecuted?". Past & Present, No. 26 (Nov., 1963), pp. 105–152. ^ Ehrman 2004, p. 318 - "If the letter [1 Peter] is indeed associated with Asia Minor, as its prescript suggests, it should probably be assigned to the first century, possibly near its end, when persecution of the Christians was on the rise"
^ Paul King Jewett, Infant Baptism and the Covenant of Grace, (Eerdmans 1978), page 127. ^ "Since at our birth we were born without our own knowledge or choice, by our parents coming together, and were brought up in bad habits and wicked training; in order that we may not remain the children of necessity and of ignorance, but may become the children of choice and knowledge, and may obtain in the water the remission of sins formerly committed, there is pronounced over him who chooses to be born again, and has repented of his sins, the name of God the Father and Lord of the universe; he who leads to the laver the person that is to be washed calling him by this name alone. ""The First Apology, Chapter 61". New Advent. Retrieved 14 December 2013. ^ Bradshaw, Paul; Johnson, Maxwell E.; Philips, L. Edwards (2002). The Apostolic Tradition: A Commentary. Hermeneia. Minneapolis: Fortress Press. ^ "The delay of baptism is preferable; principally, however, in the case of little children. For why is it necessary ... that the sponsors likewise should be thrust into danger? ... For no less cause must the unwedded also be deferred - in whom the ground of temptation is prepared, alike in such as never were wedded by means of their maturity, and in the widowed by means of their freedom - until they either marry, or else be more fully strengthened for continence" (On Baptism 18). ^ presbyter. CollinsDictionary.com. Collins English Dictionary - Complete & Unabridged 11th Edition. Retrieved 6 October 2012. ^ Elizabeth Ann Clark (1983). Women in the Early Church. Liturgical Press. p. 15. ^ "Romans 16:1-2 (New International Version)". Retrieved 17 February 2013. ^ "Romans 16:3-5 (New International Version)". Retrieved 17 February 2013. ^ "Acts 16:40 (New International Version)". Retrieved 17 February 2013. ^ "Acts 16:14-15 (New International Version)". Retrieved 17 February 2013. ^ "Did the Early Church have Deaconesses?". Catholic Answers. YouTube. Retrieved: 31 March 2014. ^ "Did the Apostles Establish the Office of Deaconess?". The Christian Post. 3 April 2013. Retrieved 31 March 2014. ^ Larry Hurtado, Lord Jesus Christ: Devotion to Jesus in Earliest Christianity, (Eerdmans, 2005), page 204. ^ "Alogi or Alogoi", Early Church.org.uk. ^ "Alogi", Francis P. Havey, The Catholic Encyclopedia Volume I, 1907. ^ Stark, Rodney (9 May 1997). The Rise of Christianity. HarperCollins. ^ a b Haight, Roger D. (16 September 2004). Christian Community in History Volume 1: Historical Ecclesiology. Continuum International Publishing Group. pp. 83–84. ^ Ronald Y.K. Fung as cited in John Piper; Wayne Grudem (8 August 2006). Recovering Biblical Manhood and Womanhood: A Response to Evangelical Feminism. Crossway. p. 254. ^ Williams, Robert Lee (2005). Bishop Lists: Formation of Apostolic Succession of Bishops in Ecclesiastical Crises. Gorgias Press LLC. p. 6. ^ a b White (2004). Pp 446-447. ^ Philip R. Davies, in The Canon Debate, page 50: "With many other scholars, I conclude that the fixing of a canonical list was almost certainly the achievement of the Hasmonean dynasty." ^ , Chapter Fifteen.History of the Decline and Fall of the Roman EmpireGibbon, Edward, in 6 volumes at the Internet Archive. There is no agreement on an explanation of how Christianity managed to spread so successfully prior to the Edict of Milan. For some Christians, the success was simply the natural consequence of the truth of the religion and the direct intervention of God. However, similar explanations are claimed for the spread of, for instance, Islam and Buddhism. In The Rise of Christianity, Rodney Stark argues that Christianity triumphed over paganism chiefly because it improved the lives of its adherents in various ways. 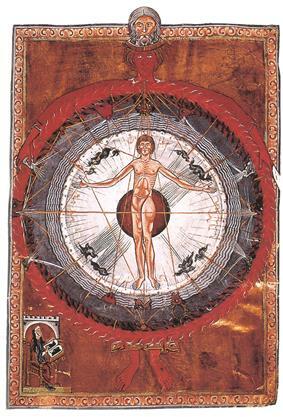 Another factor, more recently pointed out, was the way in which Christianity combined its promise of a general resurrection of the dead with the traditional Greek belief that true immortality depended on the survival of the body, with Christianity adding practical explanations of how this was going to actually happen at the end of the world. For Mosheim the rapid progression of Christianity was explained by two factors: translations of the New Testament and the Apologies composed in defence of Christianity. Edward Gibbon, in his classic The History of the Decline and Fall of the Roman Empire, discusses the topic in considerable detail in his famous Chapter Fifteen, summarizing the historical causes of the early success of Christianity as follows: "(1) The inflexible, and, if we may use the expression, the intolerant zeal of the Christians, derived, it is true, from the Jewish religion, but purified from the narrow and unsocial spirit which, instead of inviting, had deterred the Gentiles from embracing the law of Moses. (2) The doctrine of a future life, improved by every additional circumstance which could give weight and efficacy to that important truth. (3) The miraculous powers ascribed to the primitive church. (4) The pure and austere morals of the Christians. (5) The union and discipline of the Christian republic, which gradually formed an independent and increasing state in the heart of the Roman empire." 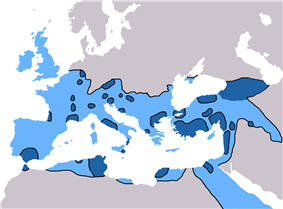 Despite sometimes intense persecutions, the Christian religion continued its spread throughout the Mediterranean Basin. In 301 AD, the Kingdom of Armenia became the first state to declare Christianity as its official religion, following the conversion of the Royal House of the Arsacids in Armenia. The Armenian Apostolic Church is the world's oldest national church. Early Christianity spread from city to city throughout the Hellenized Roman Empire and beyond into East Africa and South Asia. The Christian Apostles, said to have dispersed from Jerusalem, traveled extensively and established communities in major cities and regions throughout the Empire. The original church communities were founded in northern Africa, Asia Minor, Armenia, Caucasian Albania, Arabia, Greece, and other places. by apostles (see Apostolic see) and other Christian soldiers, merchants, and preachers. Over forty were established by the year 100, many in Asia Minor, such as the seven churches of Asia. By the end of the 1st century, Christianity had spread to Greece and Italy, even India. The earliest Christian writings (other than those collected in the New Testament) are a group of letters credited to the Apostolic Fathers. These include the Epistle of Barnabas, the Shepherd of Hermas and the Epistles of Clement, as well as the Didache. Taken as a whole, the collection is notable for its literary simplicity, religious zeal and lack of Hellenistic philosophy or rhetoric. Fathers such as Ignatius of Antioch (died 98 to 117) advocated the authority of the apostolic episcopacy (bishops). Since the end of the 4th century, the title "Fathers of the Church" has been used to refer to a more or less clearly defined group of ecclesiastical writers who are appealed to as authorities on doctrinal matters. Orthodoxy of doctrine, holiness of life, approval by the Church and antiquity are traditionally considered conditions for classification as a Father of the Church, but modern writers sometimes include Tertullian, Origen and a few others. Koine Greek spread all over the Empire, even up the Rhone valley of Gaul; Roman satirists complained that even Rome had become a Greek city. Thus the Greek translation of the Hebrew Scriptures (the Septuagint) was the dominant translation (even the Peshitta appears to be influenced). Later Jerome would express his preference for adhering strictly to the Hebrew text and canon, but his view held little currency even in his own day. It was not until the Protestant Reformation that substantial numbers of Christians began to reject those books of the Septuagint which are not found in the Jewish Masoretic Text, referring to them as biblical apocrypha. In addition, some New Testament books were also disputed, known as the Antilegomena. A problem for scholars is that there is a lack of direct evidence on when Christians began accepting their own scriptures alongside the Septuagint. Well into the 2nd century Christians held onto a strong preference for oral tradition as clearly demonstrated by writers of the time, such as Papias. Debates about scripture were underway in the mid-2nd century, concurrent with a drastic increase of new scriptures, both Jewish and Christian. Debates regarding practice and belief gradually became reliant on the use of scripture other than what Melito referred to as the Old Testament, as the New Testament canon developed. Similarly, in the 3rd century a shift away from direct revelation as a source of authority occurred, most notably against the Montanists. "Scripture" still had a broad meaning and usually referred to the Septuagint among Greek speakers or the Targums among Aramaic speakers or the Vetus Latina translations in Carthage. Beyond the Torah (the Law) and some of the earliest prophetic works (the Prophets), there was not agreement on the canon, but this was not debated much at first. By the mid-2nd century, tensions arose with the split of early Christianity and Judaism, which some theorize led eventually to the determination of a Jewish canon by the emerging rabbinic movement, though, even as of today, there is no scholarly consensus as to when the Jewish canon was set. For example some scholars argue that the Jewish canon was fixed earlier, by the Hasmonean dynasty (140-137 BC). 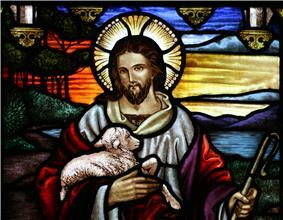 Early Christians wrote many religious works, some of which were later canonized as the New Testament of today. The proto-orthodox church had a dichotomy for teachings; they were either orthodox or heterodox. Orthodox teachings were those that had the authentic lineage of Holy Tradition. All other teachings were viewed as deviant streams of thought and were possibly heretical. An important discussion in the past century among scholars of early Christianity is to what extent it is still appropriate to speak of "orthodoxy" and "heresy". Higher criticism drastically altered the previous perception that heresy was a very rare exception to the orthodoxy. Some orthodox scholars argue against the increasing focus on heterodoxy. A movement away from presuming the correctness or dominance of the orthodoxy is seen as understandable, in light of modern approaches. However, these orthodox scholars feel that instead of an even and neutral approach to historical analysis that the heterodox sects are given an assumption of superiority over the orthodox movement. Robert Williams posits that the "origin and earliest development of episcopacy and monepiscopacy and the ecclesiastical concept of (apostolic) succession were associated with crisis situations in the early church." Despite its mention of bishops, there is no clear evidence in the New Testament that supports the concepts of dioceses and monepiscopacy (i.e. the rule that all the churches in a geographic area should be ruled by a single bishop). Scholars point to evidence that Christian communities such as Rome had many bishops and that the concept of monepiscopacy was still emerging when Ignatius was urging his tri-partite structure on other churches.